Our law firm serves central and eastern Pennsylvania, and is dedicated to treating our clients the way we would want to be treated. Former clients describe the law firm’s Harrisburg workers' comp lawyers as confident, knowledgeable, polite and prompt. 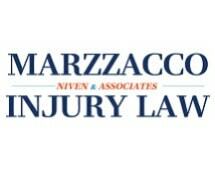 Marzzacco Niven & Associates comprises a group of competent Harrisburg workers' compensation attorneys. Workers' compensation law protects injured workers and pays their lost wages and medical bills due to injuries and conditions obtained during the course of employment. We are tenacious lawyers who may be able to get your denial overturned or help you maintain your benefits. In addition, we frequently settle workers' compensation cases for lump-sum payments to injured workers. It is important to report your workers' comp injury to your employer immediately to begin the process of applying for benefits. If the insurance company denies your claim, you have the right under law to request a hearing before a workers' compensation judge. Although having a lawyer at the hearing is not required, you are likely to obtain much better results with an attorney than you would by representing yourself. We win or settle 98 percent of our workers' compensation cases each year. Also, if you are already receiving workers' comp benefits and your employer tries to alter them, call us right away. If you have been injured at work or were denied Social Security Disability or Supplemental Security Income, contact the Law Offices of Katherine L. Niven & Associates, LLC; we would like to help you. The Law Offices of Katherine L. Niven & Associates, LLC, are experienced Harrisburg Workers' Compensation lawyers. The lawyers at the Law Offices of Katherine L. Niven & Associates, LLC will work diligently to determine if you are entitled to Social Security Disability benefits.